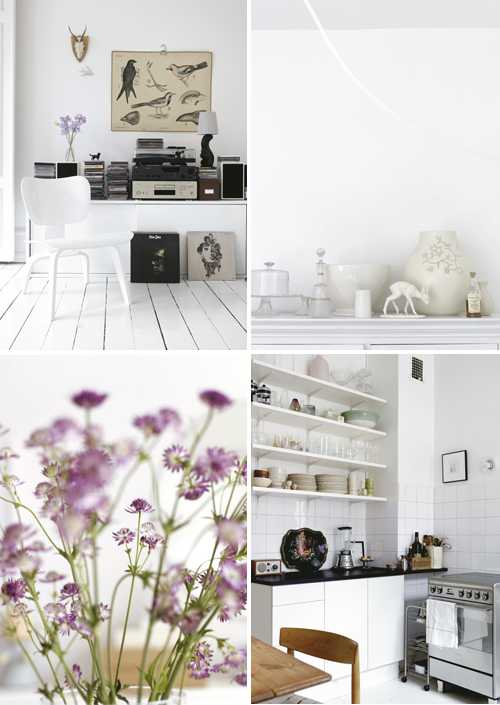 In this predominantly white interior you can find some accessories in lilac. 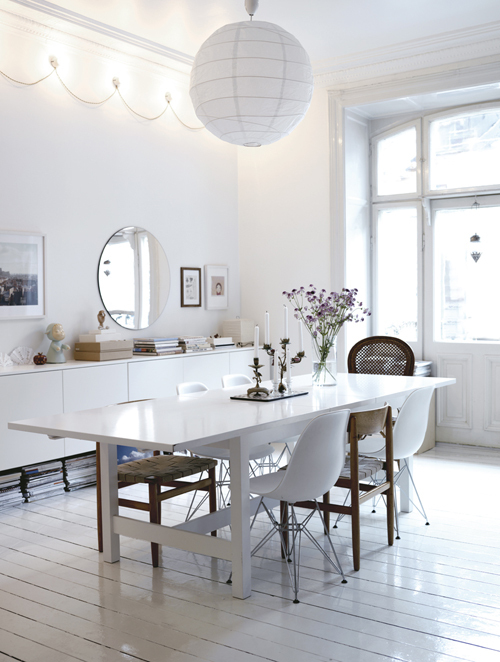 The use of lilac gives the rooms a feminin touch without being to girly. Such a beautiful girl’s room! Lately I have been seeing a lot of vintage animal and/or botanical prints (as in the top left image). what a nice home. This is very soft and peaceful. Love it. Gorgeous – I always forget about lilac and all purple tones, but these pics are beautiful. I love the girl’s room. Love the lilac .perhaps when it becomes spring here I will go for some lilac. The girl’s room is so inspiring! Thank you for always sharing such wonderful pictures! Looks like a really lovely home!!! Nice touch with the disco ball! The disco ball is such an unexpected and fun detail. So calm place to be.. I particularly like the girl’s room! 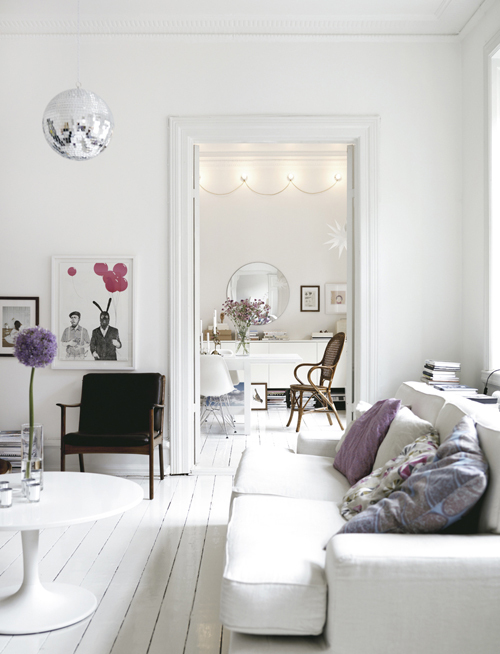 love this post – purple pops like none other, and lilac is such a beautiful and soothing shade. love, love, love! Wow! I love this house! It looks beautiful! Looks so lovely and fresh. Beautiful photos. Any idea where I can get a coffee table like the one pictured in the last photo? I’m in love with this house!!!!!! !Does anyone know where the poster in the last picture with the pink balloons is from??? ?